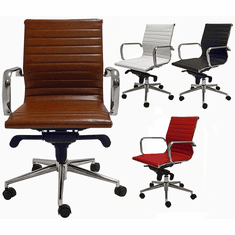 Our Contemporary Classic Leather Office Guest Chair is guest seating that is dressed to impress. 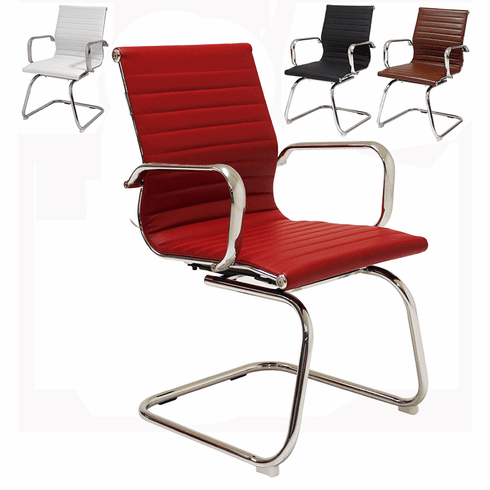 Adorn your reception area, executive office, conference room or lounge area with our stylish Contemporary Classic Guest Chair and raise your client's eyebrows! 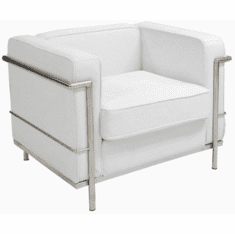 Classic style cantilever sled base features a chrome finish and includes built-in floor glides. 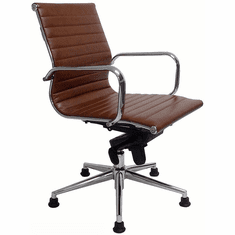 Bonded leather upholstery is pulled over the chrome frame for a firm yet support feel. Tapered front edge of seat is comfortable on the back of the legs. Available in your choice of four fabulous colors. Seat is 18"H from the floor. Armrests are 26-1/4"H from the floor. Backrest is 18-1/2" from the seat. 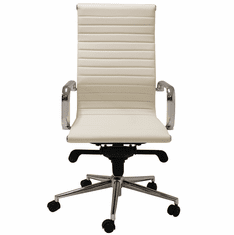 Chair measures 21-1/2"W x 20-1/2"D x 35-1/2"H overall. Rated for users up to 250 lbs. All components exceed ANSI/BIFMA commercial use requirements. Meets CA fire foam approval. 5-Year Limited Warranty. Ships unassembled but assembly is easy with only 4 screws! Shipping weight is 35 lbs. PRICE INCLUDES FREIGHT! IN STOCK!